Most ovens with locking doors will be self-cleaning units, although you may on occasion find an oven with a lock intended to keep children from accidentally opening it while in use. There are two main kinds of locking ovens: Older models with manual levers, and electronic models with push-button controls, digital displays and electronic locks. Look for a manual lever to unlock the oven. If there is one, it will probably swing back and forth horizontally, just below the upper edge of the oven door. Swing the locking lever, if one is present, all the way to the left. This should unlock the oven. If there is no manual lever to unlock the oven, it may be unlocked using push-button controls. 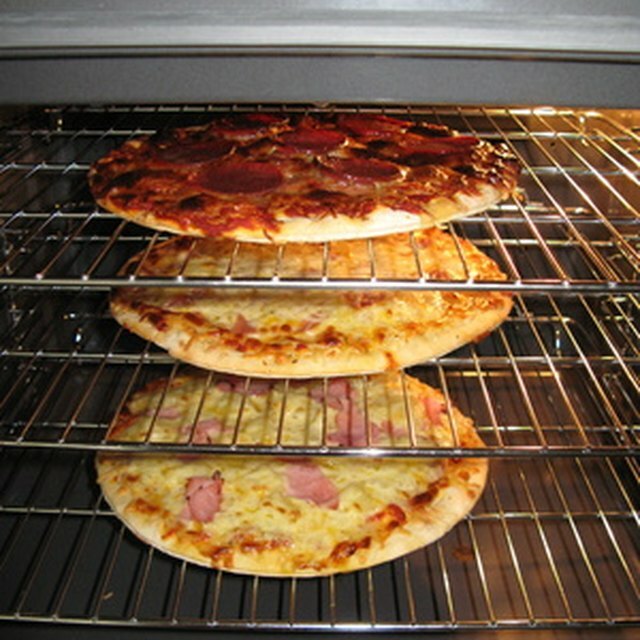 Check to see if the oven is in a self-cleaning cycle, or has just completed a self-cleaning cycle. If so, the door will unlock automatically once the oven has finished the cleaning cycle and cooled completely, which may take several hours. You cannot unlock the oven before it has cooled. Unlock the "Clean/Off" button. Depending on the brand and model of your oven, the button may display both of these designations or just one. If your oven door is locked, but the oven is not warm and is not in a cleaning cycle, unlock it by pressing and holding the "Clean/Off" button.